For lots of us mamas, winter arrived fast and furiously, and hasn’t let up since. Snow days can be fun (or...not), but sometimes, it’s just too cold to play outside. And even for those of us who aren’t dealing with sub-zero temps, other factors like rain or a sick kiddo often keep us stuck indoors for more time than we’d like. Luckily, we’ve rounded up 18 of our favorite toys + activities to help keep the boredom at bay. Toss the kiddos in the bath any time of day to shake up the routine and pass the time! These plant-based bath bombs are fizzy, fun, and fantastic. They smell great, and because they’re made of all natural ingredients and plant-based colors, they won’t irritate skin or stain your tub. One of our all-time favorite bath toys, we love how these brightly colored pipes can be used separately or arranged together to form one continuous water flow. Never underestimate the joy your little ones will find in pretend play. 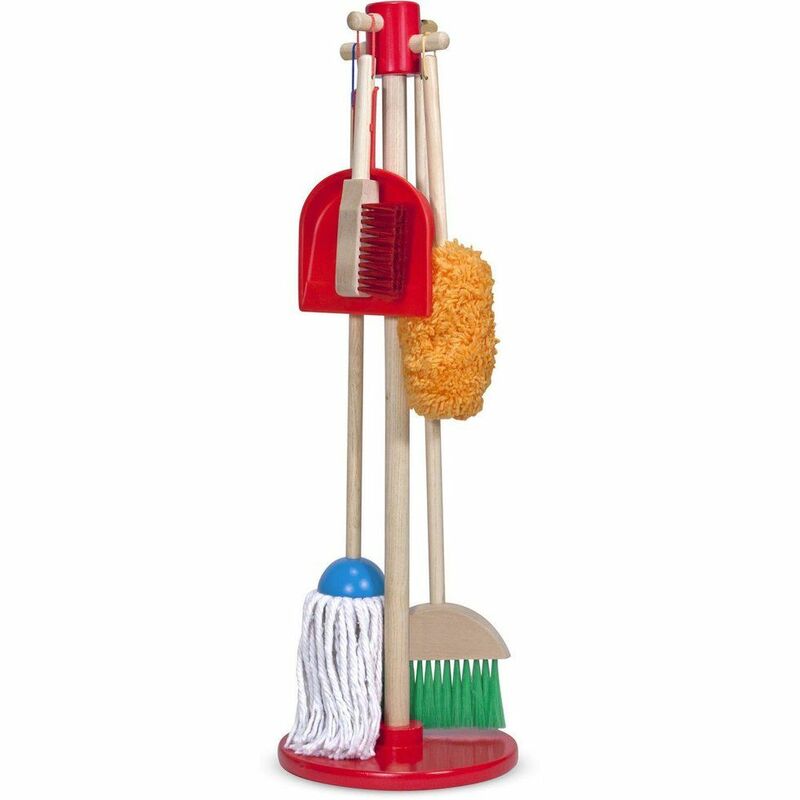 Nope, we are totally not above tricking our toddlers into thinking they are “playing” when in reality, they are dusting our shelves. ? 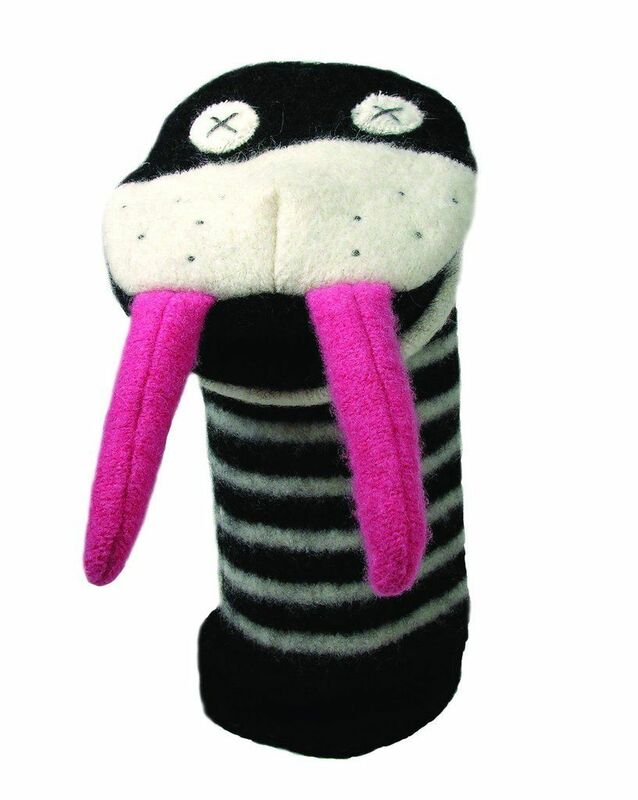 If you want a hand puppet that also feels like an heirloom, the adorable gang offered by Cate and Levi is a perfect fit. Each is crafted with bright, fun colors that are perfect for engaging with little ones. And, if you're feeling ambitious, they even offer kits to make your own. Sensory play—anything that stimulates your child’s senses—is a great way to combine fun and learning. 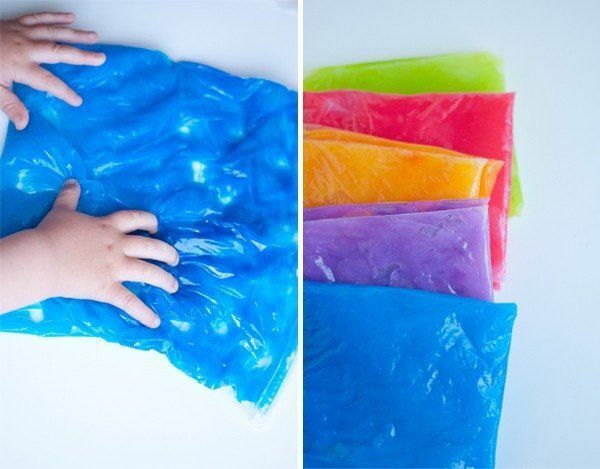 These squishy sensory bags are easy to make (we promise), colorful, and so much fun for little fingers. We recommending double bagging or placing tape over the opening to be sure to contain the goo. 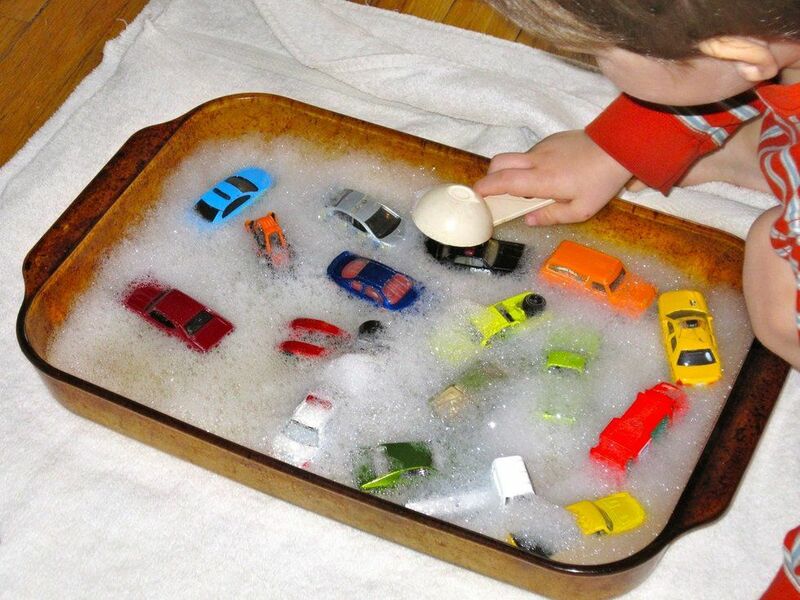 ust grab a pan, fill it with soapy water and some cars (or trucks, or figurines, or whatever you have), throw in a sponge or a washcloth, and there you go. Busy boards are a toddler’s dream come true—they offer free reign to flip all the switches, unlock all the locks, and spin all the wheels. What more could your little one ask for, really? Just because you’re stuck inside doesn’t mean you can’t burn off some energy! These handmade balance boards aren’t only beautiful, but they’re also multi-functional. They help little ones develop balance, of course, but they’re great for imaginative free play, as well. 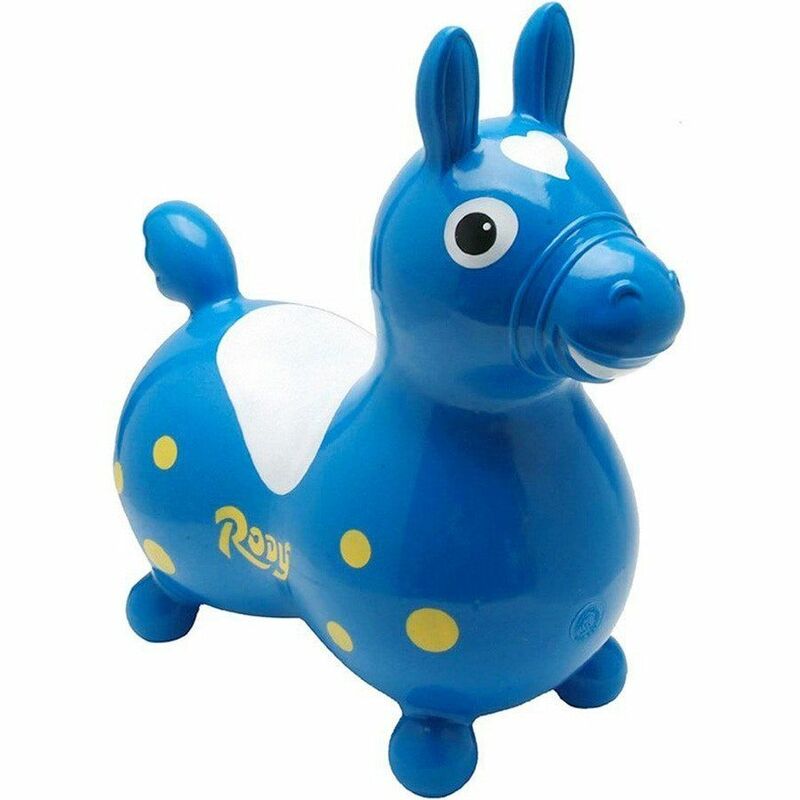 This iconic bouncing toy has been around for over three decades, and for good reason. Kids are immediately drawn to it and love to hop on and bounce. 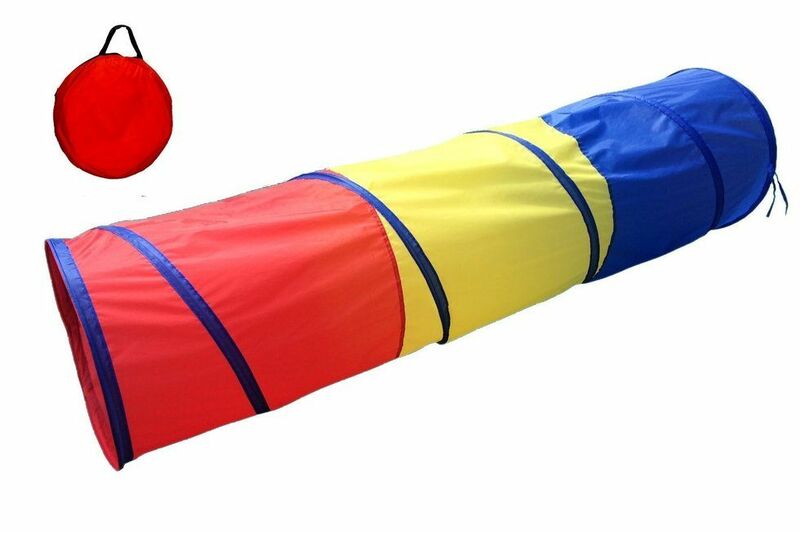 You’ll love how it livens up any play space and helps build coordination and muscle control. 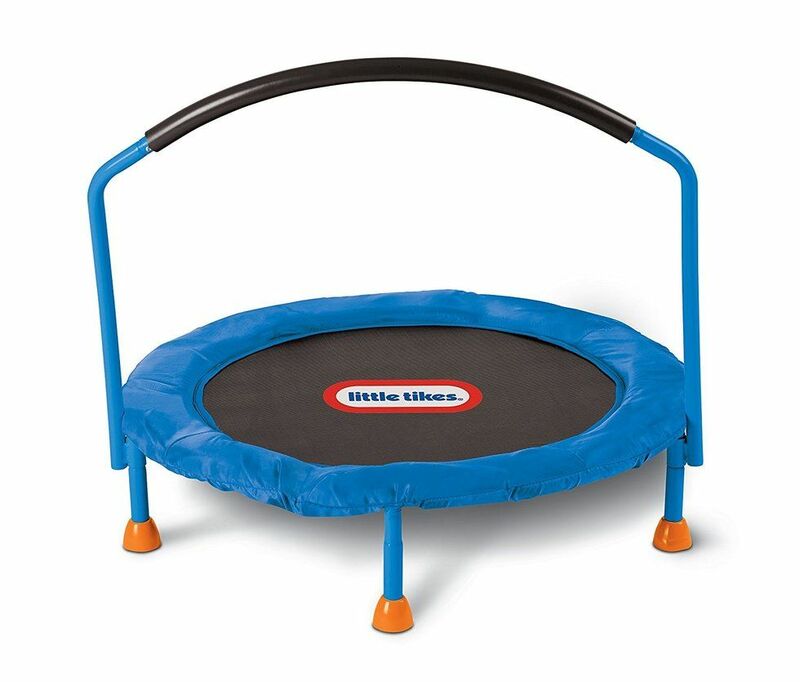 This mini trampoline is a much better option than, say, letting your toddler jump off of your bed/couch/chair ? We love that it doesn’t take up much space yet burns off a lot of steam. 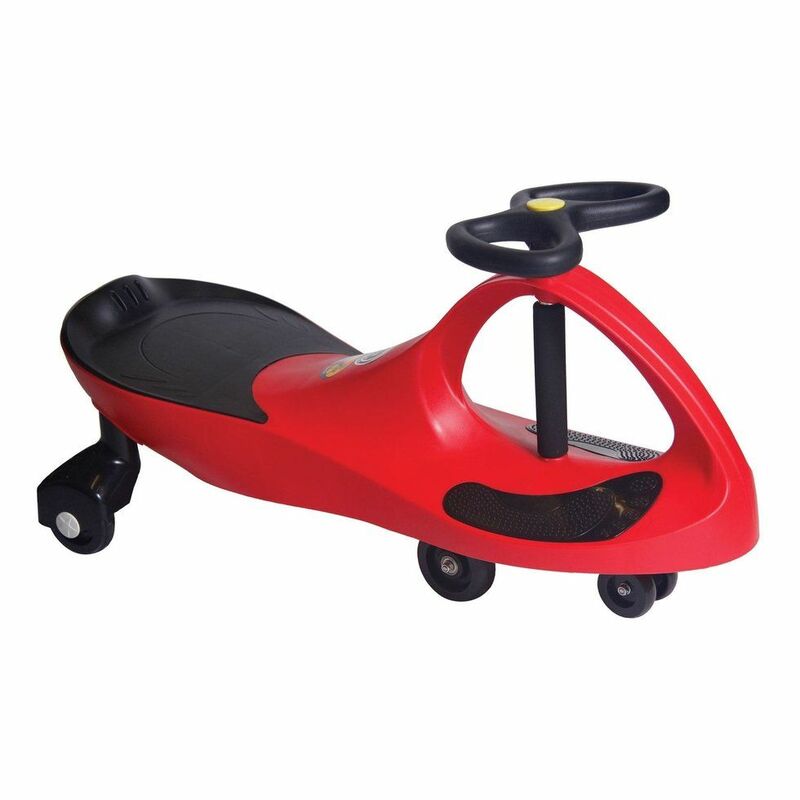 If you’ve got a large enough open space in your home, a ride-on toy is a perfect way to burn off some energy. This super cool car is 100% kid-powered—no batteries, no gears, no pedals. It also can be used outdoors once the weather allows! Our indoor-approved favorites for when your little one just can’t seem to sit still. Calling all children of the 1980s... newsflash: ribbon wands are just as fun now as they were back then! 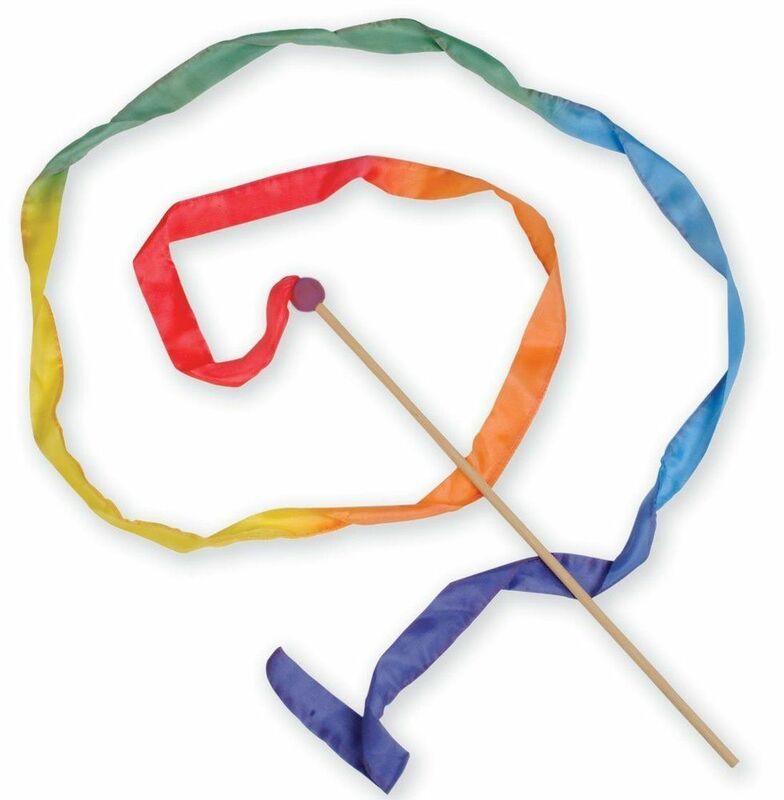 This nine-foot-long rainbow ribbon is so much fun to twist, twirl, and swing. Bring the playground indoors with this pop-up tunnel that’s easy to store and won’t take up a lot of space. Set up an obstacle course, play peek-a-boo, or just let your little one loose for some free play. 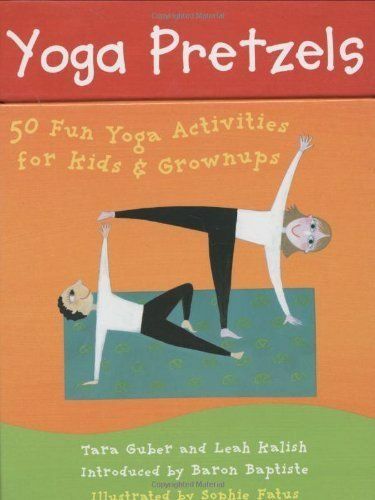 If you’re feeling like you also want to get in on the action, these mommy-and-me yoga cards are perfect for some yoga fun. Practice bending, twisting, and breathing with your favorite little yogi with these easy-to-follow card prompts. 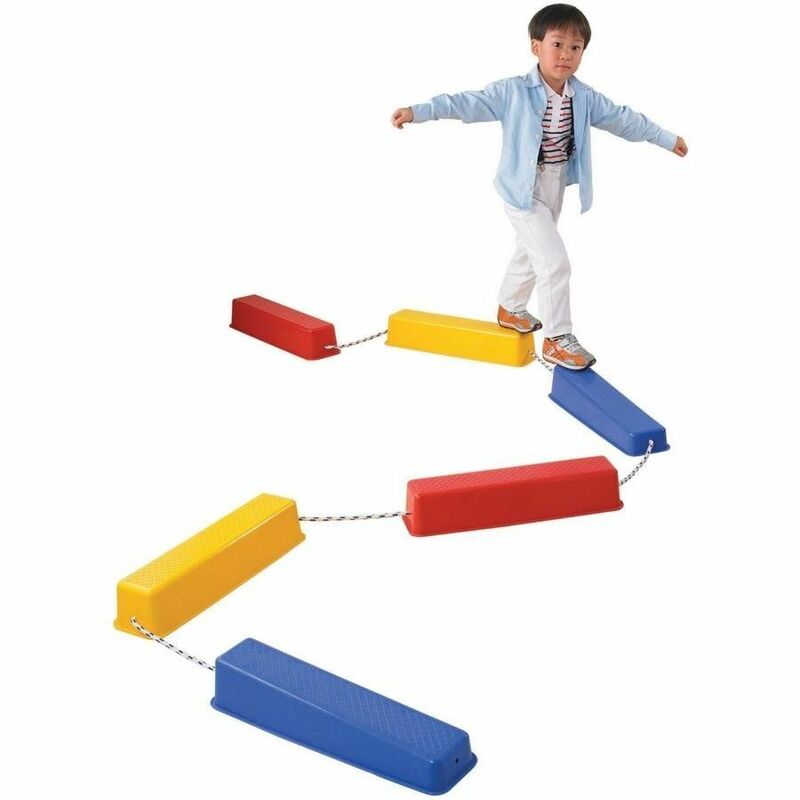 These vibrant stepping logs will help your little one build coordination and develop better balance—all while also being really fun. We love the non-slip tops and that they grow with your child. They also stack for easy storage. Arts and crafts are a tried and true way to spend those long winter afternoons! 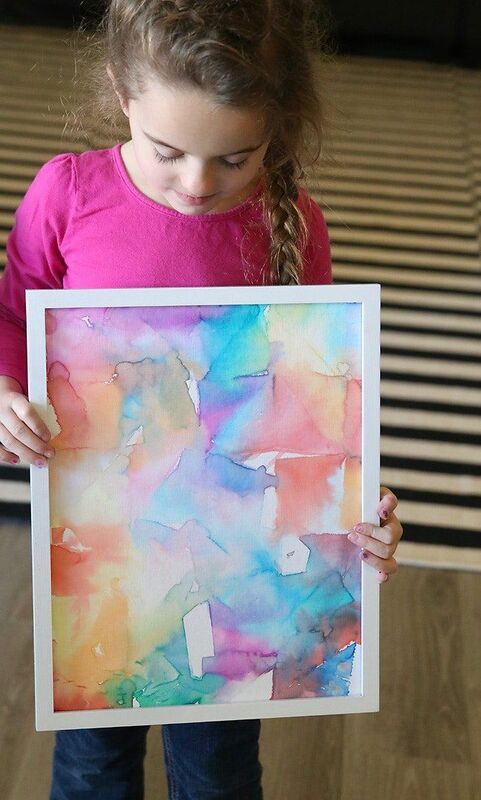 Even if art isn’t your thing you (and your little one) will love this easy, beautiful art project that uses tissue paper, a canvas, and a spray bottle to create a beautiful masterpiece. (Honestly—you could frame this!) This one’s probably better for older kiddos, but a toddler could definitely do it with some help. How can you not have fun with puffy paint? 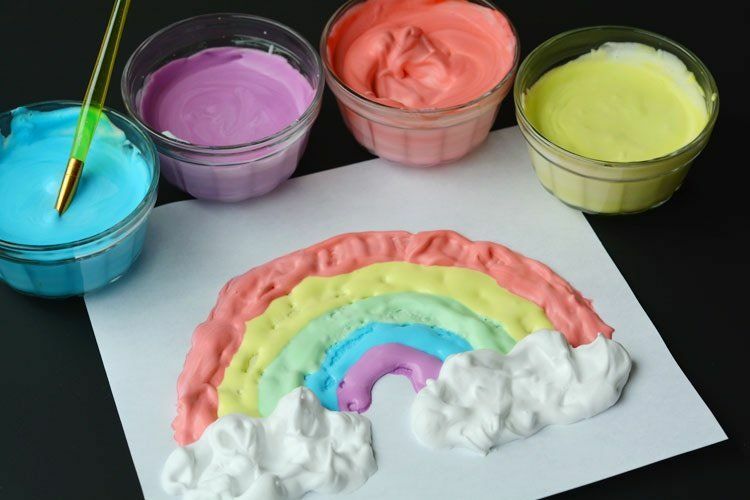 This three-ingredient recipe makes colorful puffy paint that’s perfect for any little artist.